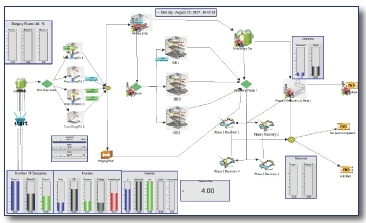 Service Simulation Software. 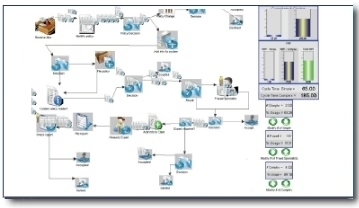 with Simcad services and process flows simulator allows users to import historical data from external data sources, as well as the ability to utilize live data to keep systems up-to-date. 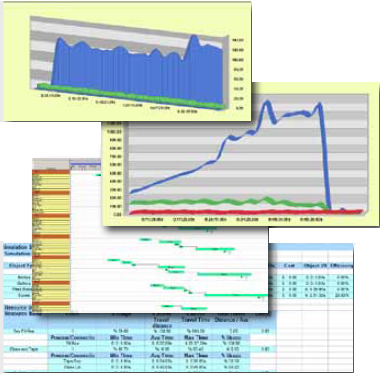 The “Simulation Analysis Report” provides users with a quick analysis of the model, identifying the poorly performing resources and what is causing the problem. 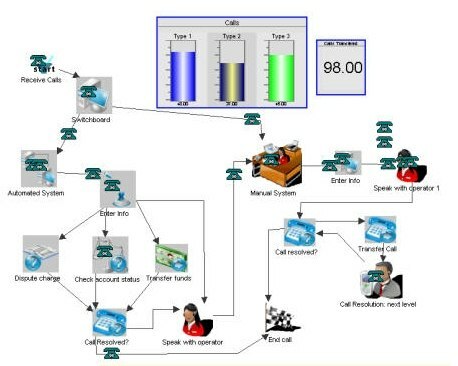 Optimize Call Centers, Increase Capacity and Efficiency. Document Flow Efficiency Improvement and Optimization. 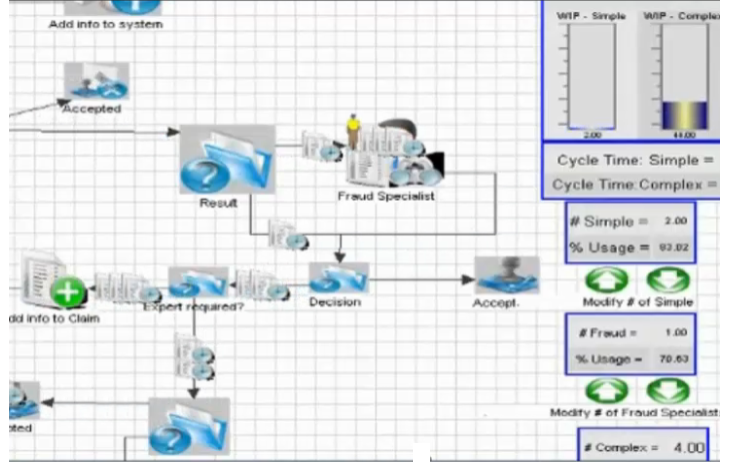 Visually Animate and Validate Inter-Process Interactions. Value Stream Mapping, Spaghetti Diagrams and Swim Lanes, lean analysis. Point and click interfaces make Simcad Pro - Services and Process Flows the most powerful "all-in-one" package to design, optimize, visualize, and analyze without coding.